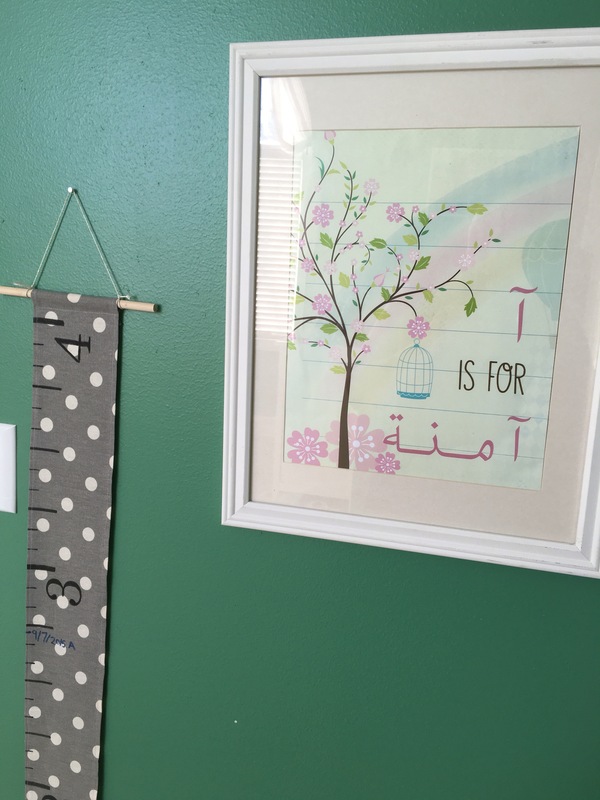 Do you know how nurseries and children’s rooms are filled with a ton of monogrammed items or labels with the child’s name? Or customized digital prints or paintings with their name? Many of these names are “popular” English names and it’s so easy to find someone to make them (etsy) or print them. 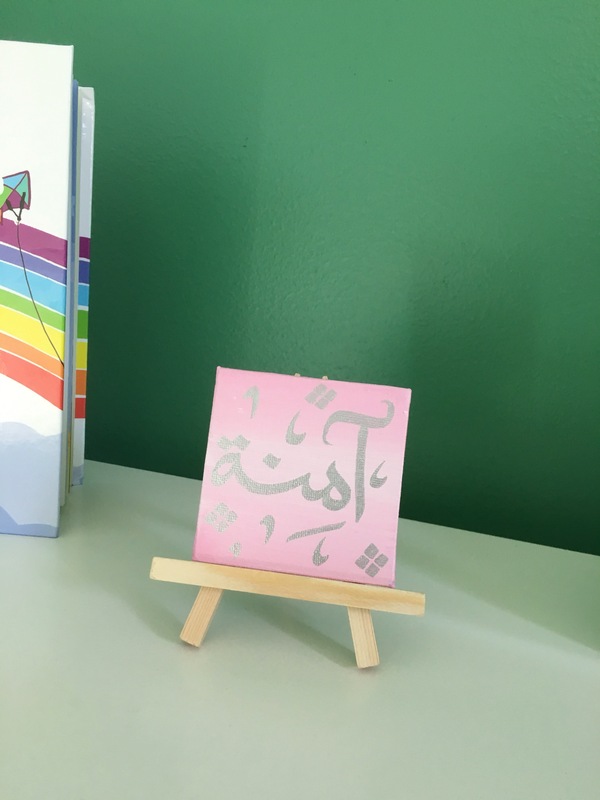 I love that nowadays there are tons of artists who make Arabic related items for children. 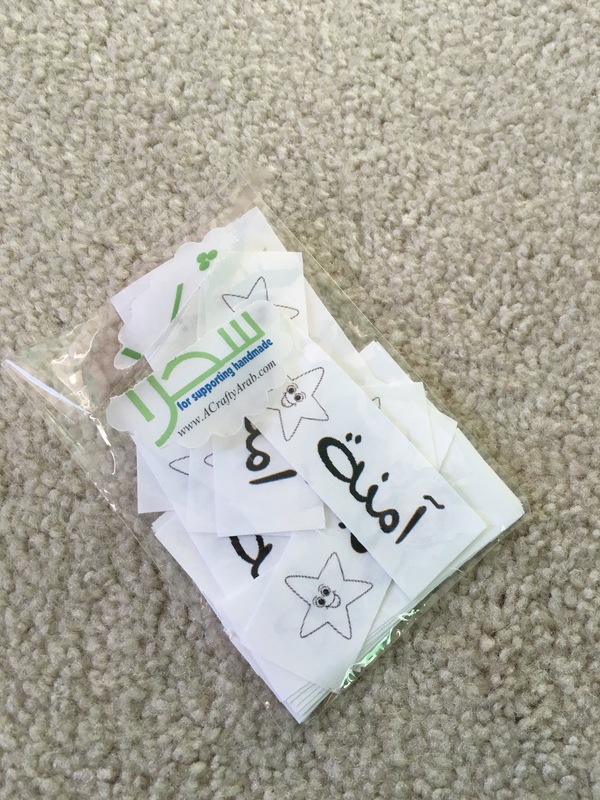 Being a bilingual mother, I want my daughter to eventually learn to recognize her name in English and Arabic. 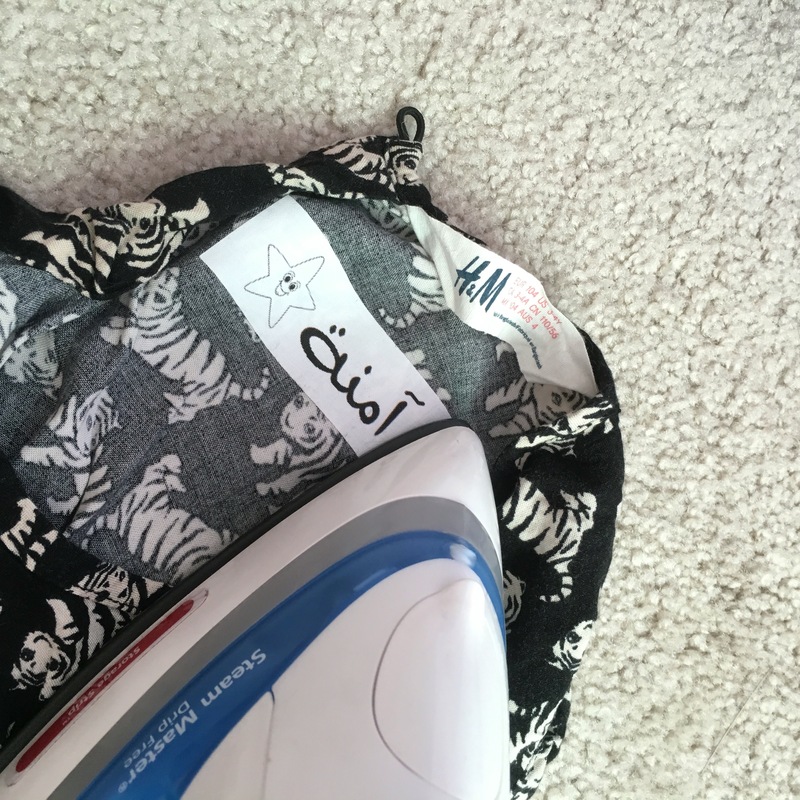 Here are my favorite items and shops that have made items for my daughter. I highly recommend them all. 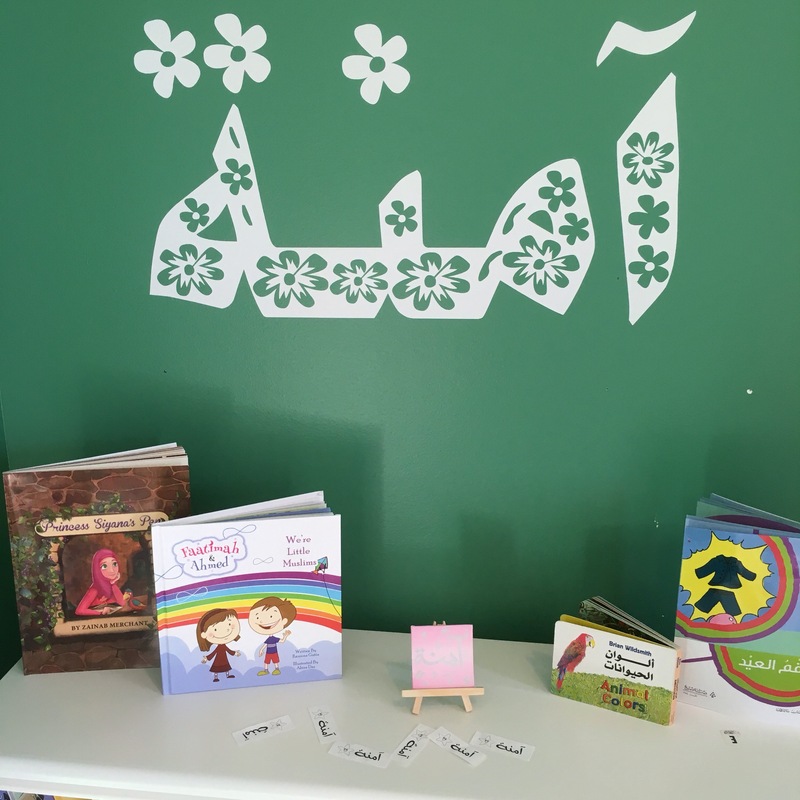 Getting your child to reconsider her name in both languages is so important. That way she will learn to love both languages! These are great ideas, thanks for sharing! As a mother of who I hope will be multi-lingual children, I have the same concerns, which drove me to start Maktabatee. 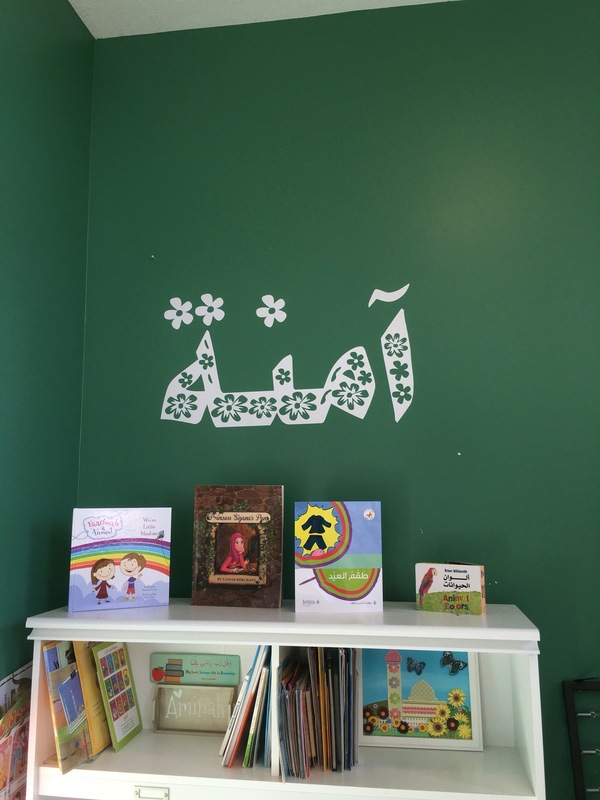 I wanted my children to “see” more Arabic around them, in their books, on the walls of their rooms, and on their toys. Visuals are so important, and I hope we can help make that happen.